I can’t believe that a refusal to countenance a nuclear first strike is seen as a sign of weakness. I have written several times over the last two years about the dangerous imbalance in the Tory defence strategies. Weak conventional arms means that nuclear annihilation is more likely not less. A military that can only throw nuclear bricks will have to do so. The ballistic missile fleet is a deterrent not an asset. It’s use would mean it’s failed. 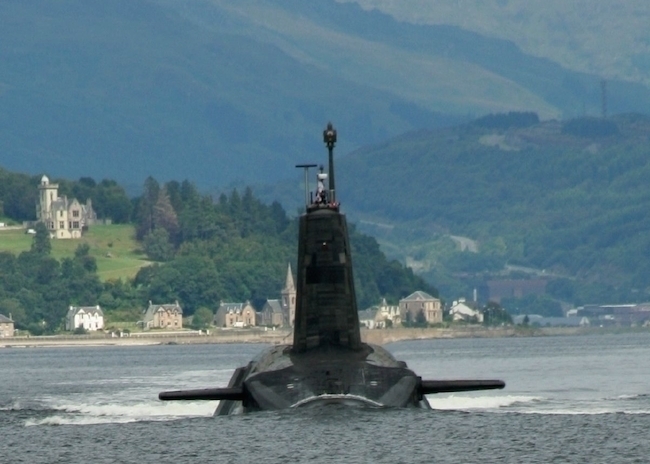 The Tories announce their commitments on defence; they announce that they’ll build a new seaborne strategic nuclear deterrent; while failing to fund enough soldiers, weapons, war planes and surface warships to defend us against the next threat. The Tories have put us in the position where we have a Navy with aircraft carriers without planes FFS, and will rent the ‘planes from the French if we need them; and they’re not the enemy 😉 Today’s subs don’t deter Russia, ISIS nor the Argentine Government in the 1980’s. It’s possible of course that a ICBM in the hands of Fallon would deter someone, but probably not; he’s a joke.